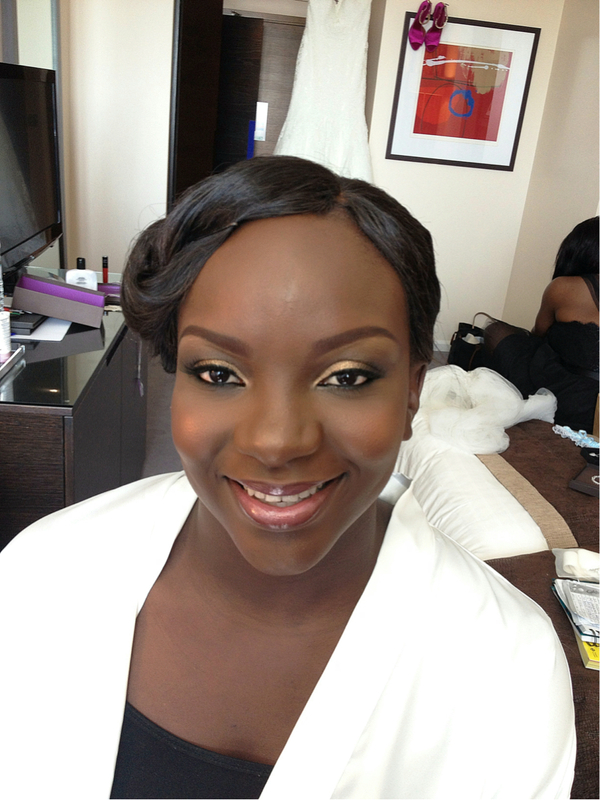 Arrived at the amazing London Hilton Hotel to glam up my bride – Oby. I started off by Cleansing and Toning her skin, a mattifying moisturizer was then gently massaged in and allowed to sink into the skin. My favorite primer Smashbox Photofinish primer was applied on the T-zones only. I then buffed in Chanel Perfection Lumiere in 154 and concealed any imperfections. This was then set with Laura Mercier loose setting powder in Translucent. 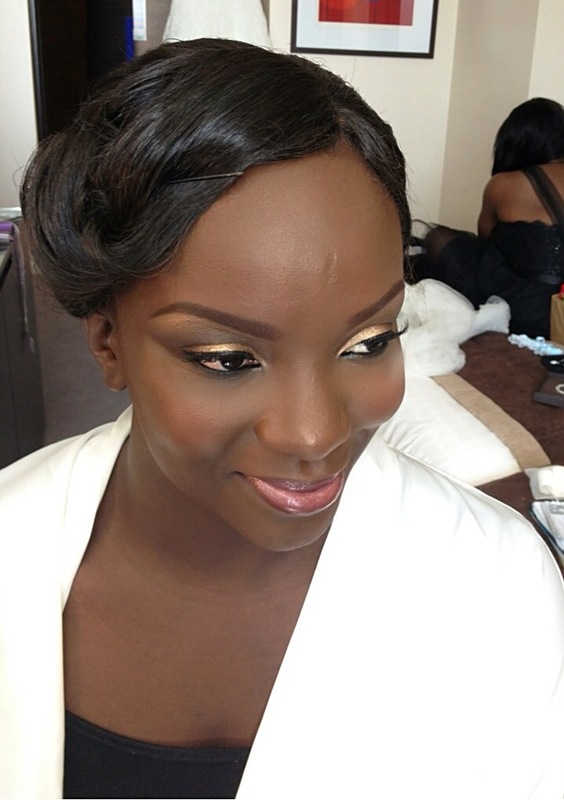 On her eyes was a mixture of gold and warm browns with some strip lashes added for instant glam. Lips were lined with Mac Cosmetics lip-liner in Chestnut and a custom mixed pink lip shade was applied and finished off with a slick of pink champagne gloss. On her cheeks i applied Mac Cosmetics Blush in Ambering Rose. Finished up the look by dusting Mac’s Mineralised Skin finish in deep dark and some highlighting powder to the high points of her face that catches the light. She looked stunning! 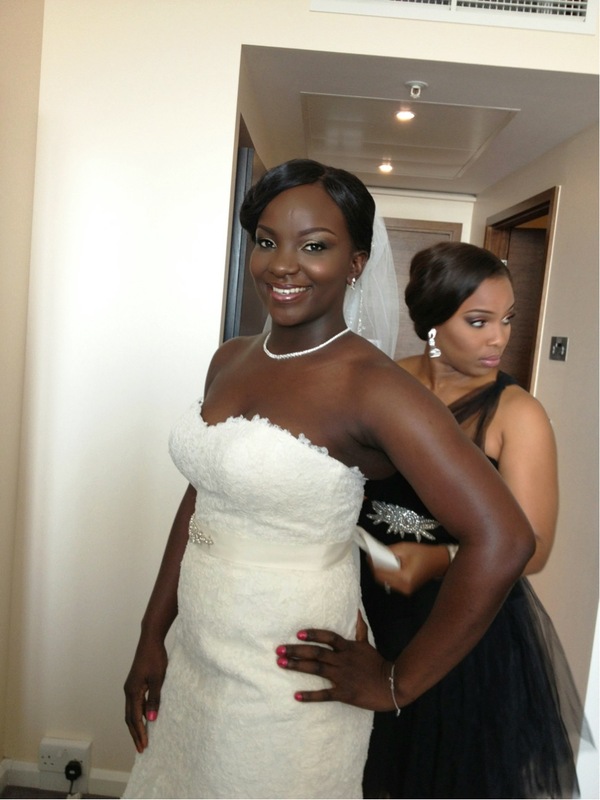 Have a beautiful married life Oby.